With this entry I renew my commitment to my passion: flying! You will read here my progress towards achieving my goals: website setup, flying club legal paperwork, sponsorship & promotion, calendar of events, and of course, my own flying experiences. So, here I go …. 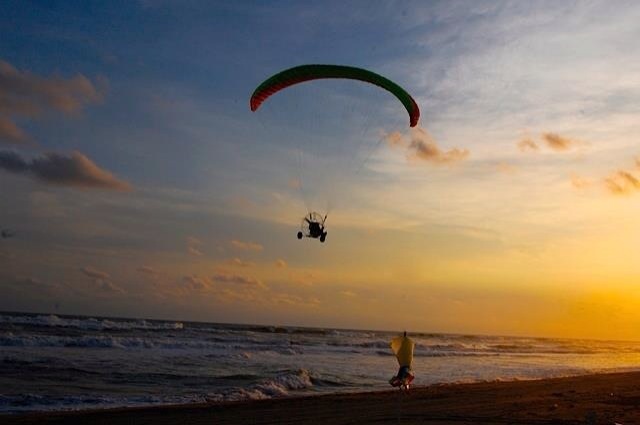 This entry was posted in Paramotor and tagged flying, outdoors, paramotor. Bookmark the permalink. 3 Responses to Dreaming Big ! check your stuff before and after use..
Lookin Good Jorge!! I like that fact that you are following your true desires and it is evident that this is where your passion is. Never let go of that my friend. It is what guides you to greatness!